The primary determinant of health for the average person is thought. Not genetics, not exercise or nutrition, but the mind. This has been shown over and over again by the scientific fields of psychoneuroimmunology, psychoneurocardiology, psychoneuroendocrinology, not to mention cancer research and all the various psychosomatic disorders that have been studied. If you doubt that thought affects health then I will be happy to have a truckload of research evidence dumped at your doorstep (at your expense) that you can take the next few years perusing. On second thought, why don't I just relate a story. The oldest documented person that ever lived was a French woman named Jeanne Calment who made it to 122 years, 164 days on this earth. What was her secret? 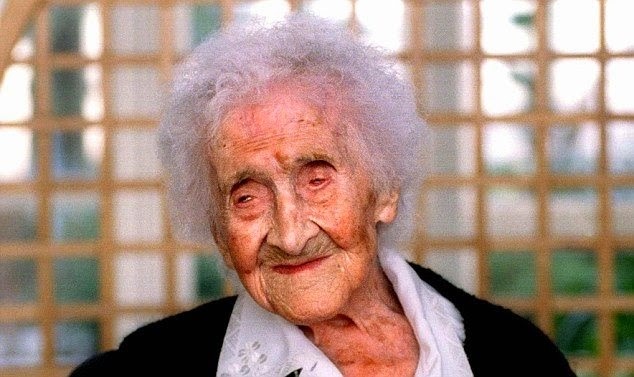 According to French researcher Jean-Marie Robine, “She never did anything special to stay in good health.” Jeanne Calment smoked cigarettes (started at age 21), drank port wine and ate a couple of pounds of chocolate sweets a week until she was 119 years old. She credited her longevity to laughing a lot and not getting stressed out. She is quoted as saying “If you can't do anything about it, don't worry about it.” (1) It probably didn't hurt that her life circumstances — born into wealth and married wealth — enabled a life of ease and comfort; in other words, no mental stress. Let's contrast this with someone I knew personally that lived a very healthful lifestyle, ate right, exercised and could be described as being disgustingly healthy. He dropped dead of a heart attack at age 61. Funny enough, this didn't surprise me because I knew this person had a type “A” personality. I also recall never having seen him laugh; not even once. Personal stories are all well and good but what does the research say about thought and the major causes of death — heart disease and cancer? The studies on thought and cardiac disease are so well known there is really no point in covering it, but what about cancer?